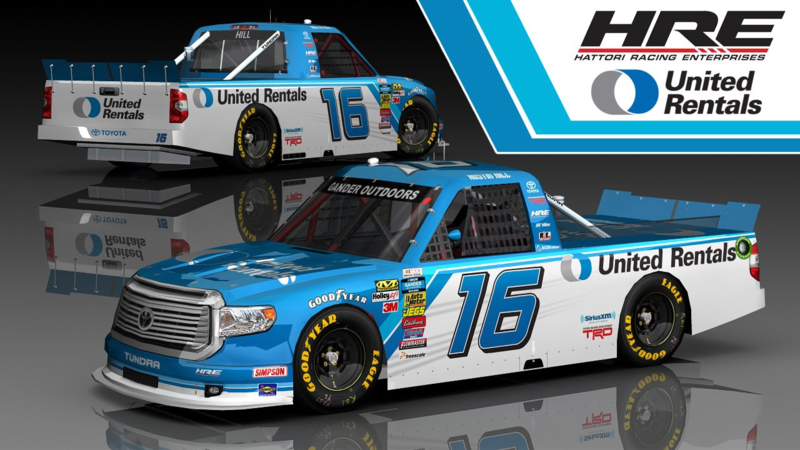 Discussion in 'Camping World Truck Series Paint Schemes' started by Tetronix, Jan 8, 2019.
garrett1127, KodaTheWolf, USSTalladega and 5 others like this. Skyline and joeykraus19 like this. I feel that that Austin Hill proved last year with the several good runs he had that he deserves a good, full-time ride. That being said, he's got some pretty big shoes to feel stepping into this truck. Hope he does well, but I steel feel so bad for Brett. The scheme reminds of of the old Wayne Spears #75, just upside down. Skyline, USSTalladega, nascarfan9 and 2 others like this. I feel like it should have some black thrown in somewhere. Austin Hill definitely has the talent, and I hope he can make the most out of this opportunity. Good for him. The worst part of this scheme is Moffitt isn't driving it (no offense to Austin). USSTalladega and BrendonH12 like this. joeykraus19, KodaTheWolf, puckhogg11 and 3 others like this. That is so much better than the light blue in the render. joeykraus19, Reza Maulana, BrendonH12 and 1 other person like this. ShadowKnight508, Reza Maulana, nascarfan9 and 2 others like this. puckhogg11, Reza Maulana, BrendonH12 and 2 others like this. MrDude68, BrendonH12 and Tetronix like this. EarnhardtFan, puckhogg11, BrendonH12 and 1 other person like this. puckhogg11, theusar, Wacky Racers and 4 others like this. puckhogg11 and KodaTheWolf like this. A quick Google search shows it is brushed metal.